Excellent service, faster shipment than expected. Fits like it should and brought my mower back to life. The drive belt looks good and will work well. Unfortunately, I had to purchase a new one at Lowe's due to the delayed shipping of your belt. At least I now have a good spare. Thanks again to Jack's Small Engines, Great service and help and recommendations. Have used this belt before. This belt was back ordered and shipped 3 weeks later, will hang on wall until needed. strong looking belt with good fit. Excellent and speedy delivery. Belt was delivered within 3 days of my ordering. 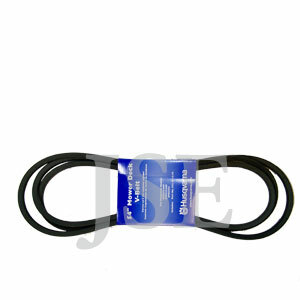 Ask us about the Husqvarna 532197242 Deck Drive Belt. Please no repair questions. Your Q&A may be posted to Jackssmallengines.com to help other shoppers, like you, with their purchasing decisions. Thank you.